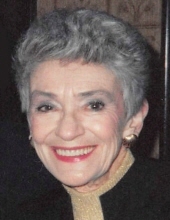 Patricia McCarthy Kurschner, 88, passed away on October 30, 2018. She was born in Chicago, Illinois on July 20, 1930 to Patrick and Marie (nee Foley) McCarthy. Patricia is survived by her loving children, Gilbert (Kris) Kurschner of Lake Bluff, Michael Kurschner of Libertyville, Marilyn (Timothy) Kurschner Henry of Lake Forest, and Phillip Kurschner of Evanston; loving grandmother to Joseph Kurschner, Kathleen Kurschner, Annie Henry, Thomas Henry, Lilah Henry, Davis Kurschner, and Peter Kurschner; loving aunt to Lori (Mike) Eddleman of Cincinnati. She will be remembered for being a loving mother, grandmother, card sharp, longtime volunteer and past president of Lambs Farm Women’s board, and an aviation pioneer. Patricia was preceded in death by her loving husband Gilbert Kurschner Sr. (Feb. 2009) and her parents. A visitation will be held from 10 am to 11 am on Saturday, November 3, at St. Patrick’s Catholic Church, 950 West Everett Road, Lake Forest. A memorial mass will begin at 11 am at the church. Memorial contributions may be expressed to Lambs Farm 14245 W. Rockland Road, Libertyville, IL 60048 or (847) 362-4636 in loving memory of Patricia McCarthy Kurschner. Info: Wenban Funeral Home (847) 234-0022 or www.wenbanfh.com. To plant a tree in memory of Patricia McCarthy Kurschner, please visit our Tribute Store. "Email Address" would like to share the life celebration of Patricia McCarthy Kurschner. Click on the "link" to go to share a favorite memory or leave a condolence message for the family.